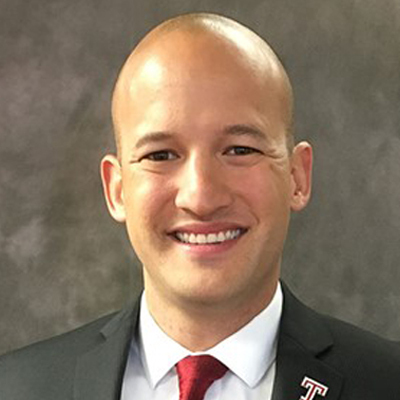 Jeremy Wang, a veteran fundraiser who served two years as Associate Athletic Director and Chief Development Officer at the University of California, Berkley, was named Senior Associate Athletics Director / Assistant Vice President for Development at Temple University in June, 2017. At Cal, Wang served in a leadership role on both the Athletic Director's Cabinet and the Vice Chancellor for University Development and Alumni Relations Campaign Management Team. In that role he led a holistic advancement unit in the University's decentralized advancement model, producing over $49 million in gifts and pledges during his tenure ($27m in FY16 and $22m to date FY17). He managed a staff of up to 18 full-time professionals in the areas of principle and major giving, annual giving, alumni relations, and athletic advancement operations. He was also responsible for closing gifts for annual, capital, and endowment priorities while overseeing and managing a one million dollar operating budget. In his two years at Cal, Wang executed a successful reorganization and rebranding of the Bears development unit to generate philanthropic revenue and implemented a unit philosophy and culture to focus on classic relationship-based philanthropy while attempting to grow revenue beyond transactional benefits based giving. This resulted in 10% growth in annual operating revenue and 5% growth in donor count during the 2015-16 fiscal year. Wang previously served four years in the Villanova Athletic Department, including his final year as the Executive Director of the Villanova Athletic Fund (2014-15). He managed a comprehensive athletics development unit supporting the Wildcat student-athletes. In that capacity, he personally closed $16 million in gifts and the Villanova Athletic Fund raised $59.4 million during his time at the school. Over his final two years at VU, he oversaw activities that resulted in $36.3 million in gifts, including an at the time school-record $22.4 million during the 2014 fiscal year. Wang specifically served as the lead fundraiser for the Villanova football program and led a strategic campaign to fund an $18 million football operations building and student-athlete performance center, as well as an $800,000 football locker room and weight room renovation. From 2009-11, Wang was on the staff at the University of Idaho, serving as an Assistant Athletic Director and Executive Director of the Vandal Scholarship Fund. Wang began his career at his alma mater, Washington State University, serving as the Cougars' Assistant Ticket Manager. Wang earned his bachelor's degree in communication ('04) as well as an MBA ('07) from WSU. Wang is married to Ivy Rae Wang and the couple has three sons: Isaac, Jonah and Micah. Brent Vicino joined the Owl Club as the Associate Athletics Director for Development, Annual and Premium Seating Programs in June, 2016. In his role, Vicino will develop and manage all aspects of the premium seat and seat donations programs and is responsible for all aspects of the Owl Club. Additionally, he will create all marketing and promotional materials for premium seat and seat donation programs, develop and execute direct mail strategies, and coordinate all team specific fundraising programs. Prior to joining Temple Athletics, Vicino served as Assistant Athletics Director for Annual Giving and Executive Director of the Vandal Scholarship Fund at the University of Idaho. His primary responsibilities included leading and managing the Vandal Scholarship Fund, creating opportunities for major gifts, providing management and oversight of premium seat sales, and planning and staging fundraising events. During his time at Idaho, he increased direct mail fundraising by 33% and the number of donations through direct mail by 29%. Additionally, VSF fundraising events netted more than $375,000 in revenue since 2014. 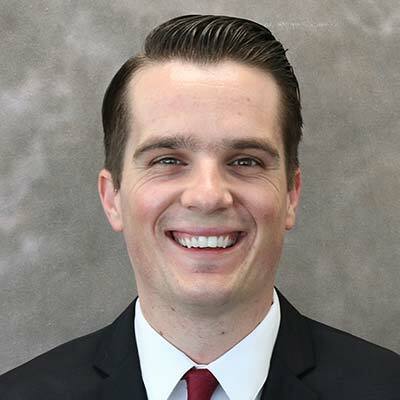 From 2012-2014, Vicino worked at the University of Arizona as Donor Services Coordinator and then as Assistant Director of Development for the Wildcat Club. He was part of a team that increased Wildcat Club membership from 6,000 to 12,000 over a span of five years. Before his time at Arizona, Vicino spent four years at the University of Miami as Special Assistant to the Athletics Director and then as Development Associate. His primary responsibilities included managing the relationship between the Hurricane Club and the Hurricane Club Volunteer Council, executing the NEXT LEVEL and $40 for 40 fundraising campaigns, planning and staging all special events for the athletics department, and facilitating game day operations. A native of Modesto, CA, Vicino earned his bachelor's degree in Political Science and Religious Studies and his master's degree in Sport Administration from the University of Miami. Vicino and his wife, Tanzania, reside in Baltimore, MD, with their sons Saverio and Enzo. 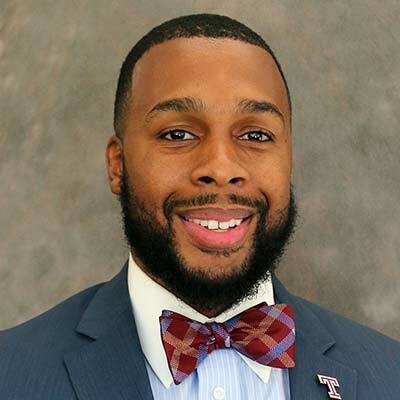 Chris Jones, who has over seven years of athletics development experience at the collegiate level, was named Temple University's Assistant Athletics Director for Major Gifts in October 2018. In his role, Jones will devise strategies and be responsible for the cultivation, solicitation, and stewardship with major gifts of $50,000 and up and leadership annual gifts. Prior to joining Temple Athletics, Jones served as Director of Development for Athletics at Clarion University where he oversaw all athletics fundraising. During his time at Clarion, he secured the second largest gift in the history of the department of athletics. Additionally, over $800,000 in scholarships and $300,000 in pledges were secured in his time there. From 2014-2016, Jones worked at Lincoln University (MO) where he served as the Executive Director of the Blue Tiger Athletics Club which he built from the ground up. Jones doubled the membership in a year and quadrupled social media interactions. He was part of a team that was responsible for the highest fundraising total in the history of the University. Before his time at Lincoln, Jones spent three years at North Carolina Central University, first as Development Associate and then Development Coordinator. His primary responsibilities included managing the day to day operations of the Eagle Club and securing corporate sponsorships. A native of Goldsboro, N.C., Jones earned his bachelor's degree in Physical Education and his master's degree in Athletic Administration from North Carolina Central University. Jones is also a proud alumnus of the Dr. Charles Whitcomb Leadership Institute, formally known as the NCAA Leadership Institute (2018) and an active member of several professional organizations including National Association of Athletics Development Directors (NAADD) and Council for the Support of Education (CASE). Jones was a 2016 recipient of the 40 Under 40 award from his alma mater. Jones and his wife, Cassandra, reside in Philadelphia, Pa.
Lucy Cruz joined the Owl Club staff as the Associate Director of Development Operations in February, 2018. In her role, Cruz helps oversee and strengthen the special events portfolio and brings leadership to the Owl Club's programmatic annual fund operations and to alumni and donor engagement. 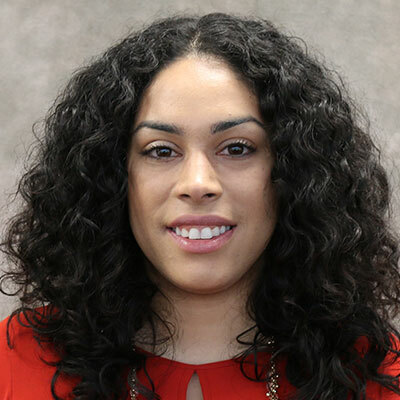 Prior to her arrival at Temple University, Cruz worked at Rutgers University as the Assistant Director of Athletic Development for Events and Stewardship. In this role, she planned and executed all athletic-development special events, creating experiences that helped steward, engage and recognize Rutgers athletic donors. These events included fundraising and highly visible groundbreaking and dedication events for the department's $100 million dollar capital facilities campaign, R Big Ten Build. Cruz also helped with the implementation of, and managed the benefits for, the Rutgers Athletics Scarlet Society-a giving society for the most generous supporters at $50,000 annual or $1 million lifetime levels. Prior to her role with the fundraising team, Cruz worked on the ticket sales team as a sales and retention consultant. Cruz is a 2011 alumna of Temple University's School of Media and Communication with a degree in Strategic Communications. As a student, she interned with the Philadelphia 76ers Community Relations department (2010) and was a founding member of Babel, Temple's performance poetry collective (2008). Cruz is a native of Perth Amboy, NJ. She is currently pursuing her Masters of Business Administration at the Rutgers Business School. 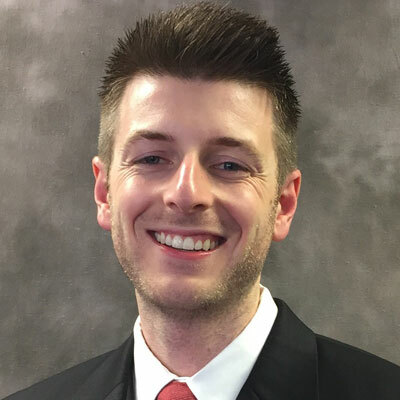 Jonny Dierks joined the Temple Owl Club staff as the Assistant Director of Development in May of 2018. In his role with the Owls, his responsibilities include carrying a portfolio of annual and major gift donors and prospects, with a goal of increasing memberships, visits, and solicitations for the Owl Club. Before coming to Temple, Dierks served as a Terrapin Club Assistant at the University of Maryland. While there, he contributed to daily and weekly projects in conjunction with the Annual Fund team and the Major Gifts team. Dierks worked on projects that included research and development, donor prospecting, and event management. Dierks had previous stops at George Mason as a Patriot Club Assistant and at Georgetown University as a marketing graduate assistant. A graduate of the University of Maryland, Baltimore County, Dierks played varsity baseball for the Retrievers, and later served as the Facilities and Event Operations Assistant. In that role, he assisted with the set up and tear down of varsity sports, managed undergraduate, and assisted with special projects within the facility and operations department. Dierks has a graduate degree from Georgetown University, a Masters in sports industry management. His undergraduate degrees included a Bachelor of Arts in Media and Communications Studies from UMBC, and as Associate of Arts from Fort Scott Community College. Casey Addis joined the Owl Club Staff as Assistant Director of Development in February, 2017. In her role she will assist with annual giving, donor relations and stewardship for the Owl Club. She will support internal operations including donor and alumni events and premium seating. Prior to joining Temple Athletics, Addis served as the Assistant Director of Annual Giving/Director of the Blue & Grey Club at Hood College in Frederick, MD. Her responsibilities included soliciting new donors for the athletic annual fund, managing a portfolio of donors and alumni, and planning and implementing events for alumni and donors. She spearheaded a capital athletic campaign for turf field lighting and was responsible for hosting fundraising events for athletic alumni, parents and donors. Addis launched a Blazers of the Last Decade Society to increase philanthropy in young alumni and was in charge of securing the senior class gift. She was also the athletic department and institutional advancement liaison, where she was accountable for both athletic alumni fundraising and the general annual fund. A native of Williamstown, NJ, Addis earned her bachelor's degree in Sport Management from SUNY Brockport and her master's degree in Business Administration from Hood College. 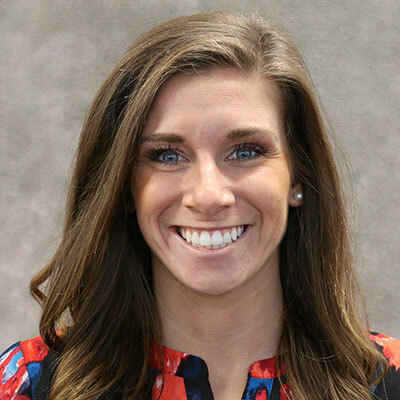 Bryanna Williams joined the Owl Club Staff as Assistant Director of Development in December, 2018. In her role she will assist with annual giving, donor relations and stewardship for the Owl Club. She will support internal operations including donor and alumni events and premium seating. Prior to joining Temple Athletics, Williams served as a Business Development Manager with Cystic Fibrosis Foundation in Harrisburg, PA. Her responsibilities included coordination of annual fundraisers, raising more than $200,000, managing a portfolio of donors, and planning and implementing events for donors. Williams also served as, Special Events and Donor Relations Coordinator for Goodwill Keystone Area. Her responsibilities included spearheading fundraising strategies through campaign management, raising a total of $317,000. She also oversaw all donor relations for the Keystone Area. Prior to relocating to Harrisburg, Williams spent 2 years with the Philadelphia 76ers franchise. 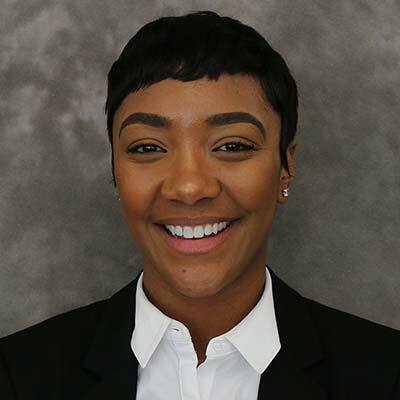 There Williams was an Administration Office Assistant for the 76ers Camps and Account Executive/Community Engagement Coordinator for the Delaware Blue Coats. Her responsibilities included ticket sales, establishing professional and personal networks for new sponsorship opportunities, executing events requiring the use of community assets, contacts and talent. A native of Sicklerville, NJ, Bryanna earned her bachelor's degree in Sport Management from Long Island University-Brooklyn, where she was also a Division 1 Track and Field Athlete, specializing in short sprints and jumps.